Look for tree issues with roofs, sewers, foundations, block walls and check your Homeowners Insurance policy. One area that is often not given much thought is trees hitting or rubbing the gutters. If the gutters fail to drain properly and over flow onto the siding, significant damage can occur over time. It would be prudent to remove the tree or trim back the branches in a timely manner and check for damage at the same time. 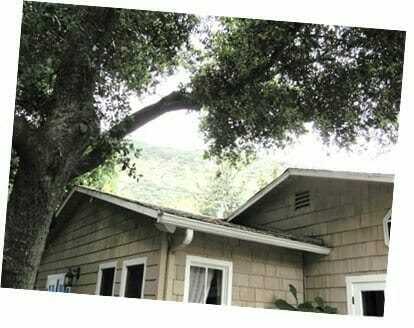 Another concern should be large heavy branches hanging over the roof. 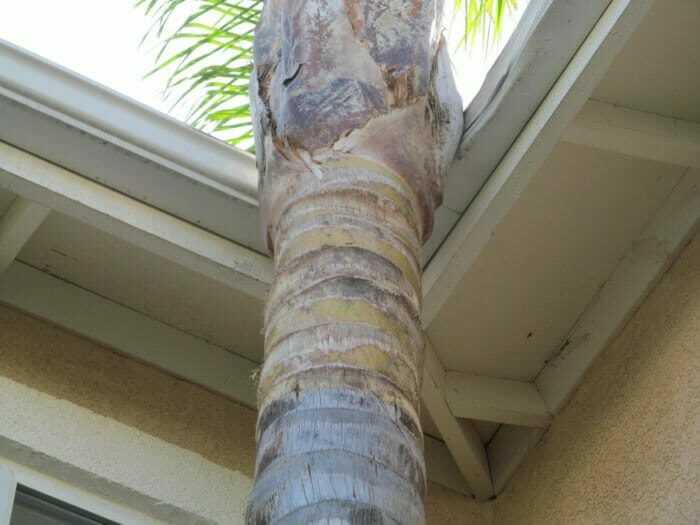 If they are cracked, deteriorated or dead and you do not remove them and maintain the tree properly, your homeowners insurance may deny a claim. 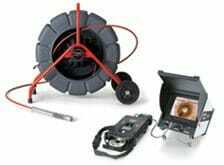 Another question that should come to a buyers mind when there are trees on the property; are there any tree roots in the sewer line or has the roots damaged the sewer line? Learn what kind of trees in your geographic area that cause more sewer problems than others. Do you have any of these types of trees? 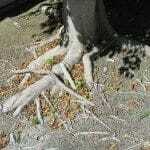 Occasionally tree roots may cause damage to a home’s foundation. 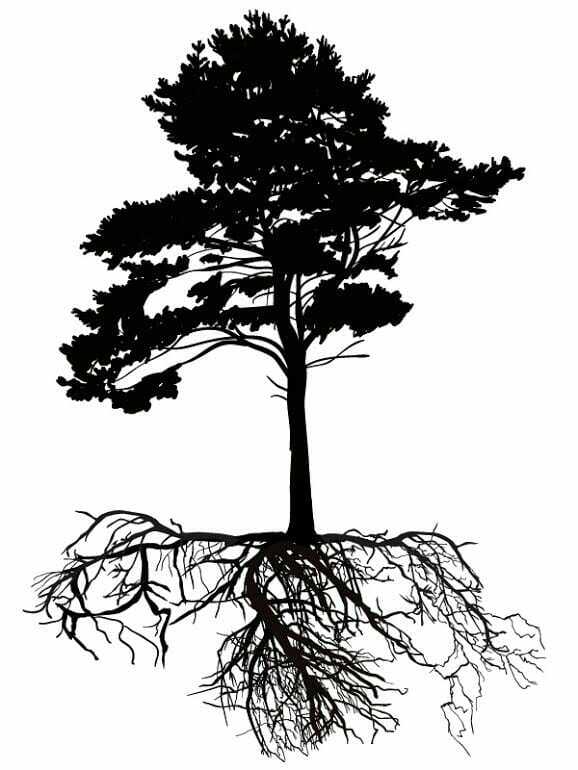 Roots may cause a foundation to crack or the roots may enter a crack in the foundation and cause additional cracking. Another way tree roots can damage a foundation is though sucking moisture out of the soil under the foundation. If there are expansive soils and the roots remove moisture from this soil; the soil may shrink. When this occurs the foundation settles or drops down a little which then causes the foundation to crack. Buyers should walk around the property and look to see if the trees are causing any serious damage to the block, brick or stone walls or fences that will need to be repaired. If a wall is leaning considerable or shifts when you push on it, then there may be a safety concern in addition to any repair or maintenance cost. Homeowners are often surprised to learn that claims made relating to their trees are turned down. So did you know? Damage to your home and foundation from roots are normally not be covered. If a tree falls on your house due to a wind storm the insurer may pay for the homes damage and damage to the contents, less the deductible, and maybe $500 to $1,000 to remove the fallen tree. If the wind storm is a classified named hurricane, then you may be responsible to pay an extra hurricane deduction. If you want the insurance company to pay for the replacement of a tree damaged by a storm or from falling on your house, they generally will not. If tree falls over but doesn’t hit or damage an insured structure, the insurance will probably not pay for removing the tree or stump. If the tree falls on and damages the driveway, some policies may cover it and others won’t. If the tree was dead or in need of maintenance or major trimming and fell on your house, you may not be covered. This can be major. Insurance carriers will usually have not only specific exclusions for certain loses, but will also have a Neglect Exclusion which says that failing to maintain the home and certain components is neglect. That if neglect causes the loss, that you’re not covered. 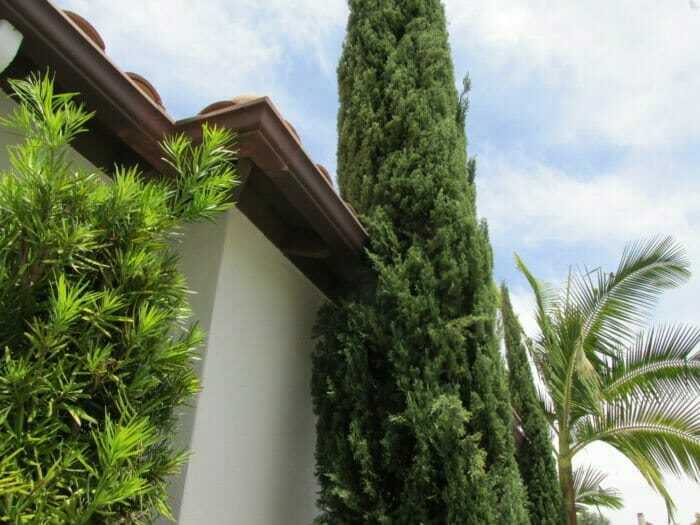 Insures feel that trees are part of the landscaping and therefore are the owners’ responsibility. Note: Policy deductibles and exclusions differ from insurer to insurer and the type of policy you have purchased. Buyers may want to review their Homeowners Insurance policy if the home they’re purchasing has trees. Check to see if there are any tree or root issues with your neighbors trees. 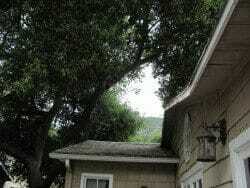 Is his tree over hanging your roof, or causing a masonry wall between the properties to crack or lean? Are his tree roots affecting your foundation? Now, flip the questions and ask yourself about your trees or roots damaging your neighbors property? Legal issues can exist if you cut branches or roots coming onto your property and it damages or kills your neighbors’ tree. Before you cut your neighbors tree roots or branches on your property, talk with your neighbor. If his tree dies you may be legally liable, even though what you cut was on your side of the property and causing damage to your property. Consulting an attorney would be wise if there is not an agreement between you and the neighbor and also an arborist may need to be consulted. 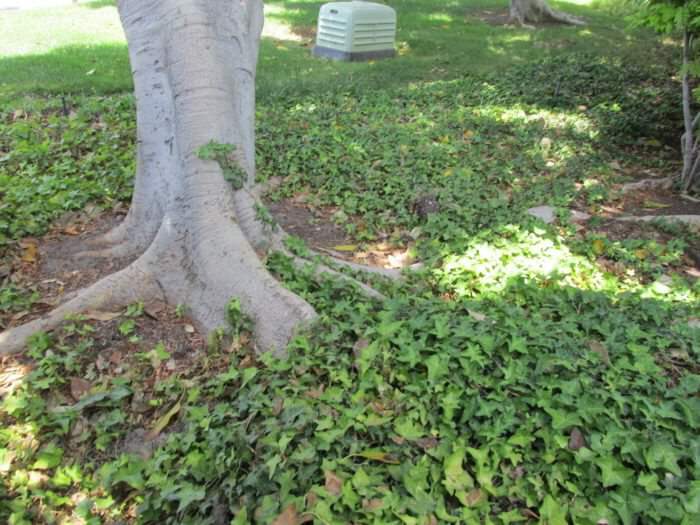 Take a look at what tree or root issues that you may have to deal with after you move into the home you’re purchasing. Ask yourself, are any serious or costly tree issues to correct. It would be wise to video the sewer line, for it is not that costly but can reveal very costly expenses that you may experience. 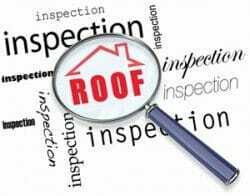 Roof Certification - Do I Need One ? 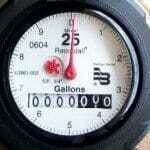 Video Sewer Line - When do I need to video a sewer line ?